The water bottling business is the fastest growing part of the beverage business and can be very profitable if done right. The world population is now over six billion people with many people not having access to clean drinking water that is one big market! The booming water market has been call many different names like “the oil of the 21th century”,” liquid gold”, “ blue gold” and has become over a 50 billion dollar a year business. Just about all of the major drink companies like Coke, Pepsi, Nestle, Starbucks and even Anheuser-Busch have large investments in the drinking water business. With the world water sources getting more polluted every day the demand is also increases every day. 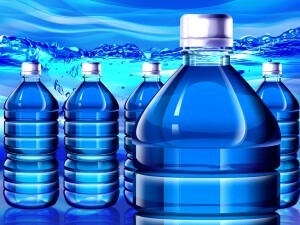 The bottled water business is a business that is going to be in demand for many of hundreds of years to come. To have a profitable water bottling company, you must do your research and write a business plan to make sure the business will be successful. Everywhere you go the plan needs to fit into the local market. Here are a few of the most important points to think about for your business plan. What type and size of water bottling plant do I want to put in and what is the real cost? Would it be a large bottle refilling plant or a small bottle plant? Is the product going to be affordable to the customer? You will not be able to sell much water if the people don’t have the money to buy it. Will you need to make your own bottles? Where will I get my supplies such as bottles and caps? How much are they per item? What is the minimum order quantity? How long would it take to get them? What is the true cost of the bottled water you will be selling? You need to look at the water, labor, bottle and cap, electrical, taxes, insurance, and if you have trucks the cost to run and maintain them. Is the water supply and electrical supply on all the time? Do you need a well (borehole) and generator? How much water do you need to sell to make a profit on the whole business? What is my competition and what are they doing? How will my product stand out and why would people buy my product? How and when will you get paid for your product? Is the building and location in the proper location? This will make your cost significantly higher if you need to deliver far away. Does the building need any upgrades (plumbing, electrical)? Taking all these elements into consideration is important when entering the bottled water industry and establishing your own water bottling plant. 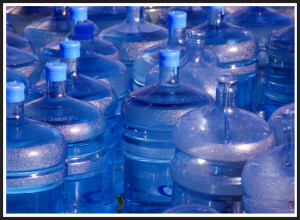 Please call us if you would like any more information on establishing a bottled water operation. We are happy to help you in any way we can to ensure that your bottled water project is a success.